I was invited to an old-fashioned, end-of-summer Genealogy Blog Potluck Picnic. Bring a dish (my favorite genealogy resource) to share, the hostess said. An online obituary index for Columbia, SC area obituaries. Copies of obituaries can be requested via email, too. 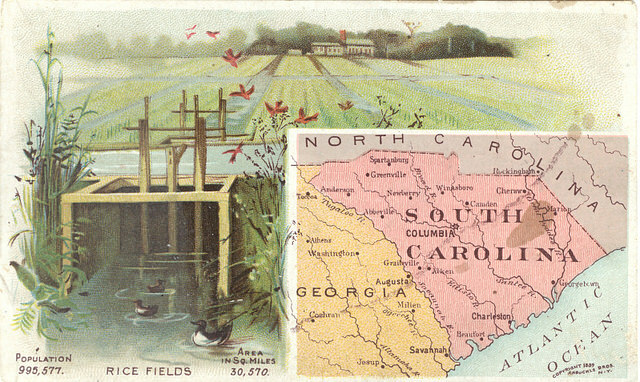 South Carolina Historical Newspapers Collections. If you have a library card, you can access the newspapers yourself including printing on your own printer. I have an out-of-county library card, and I use this resource regularly to read and print articles and obits. The Otis Prince surname files. 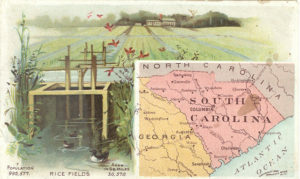 A collection of nearly 2000 surnames Prince researched while writing books and articles about Richland County history. If the file is small enough, the librarians will even scan the pages and send them to patrons via email. This is by far my favorite resource. The website is easy to use, and the staff is always helpful and polite when I call them. I have yet to visit this library in person, but it’s in my plans. Thanks for commenting, Elizabeth. I hope my tip helps others with their SC research. Oh boy, a library you can call. They sound special and rather wonderful. I wonder if the golden age for libraries is passing, here in England. My favourite library in the UK is either Merthyr Tydfil Local Studies or Somerset County Local Studies. Both of those foster the enthuasism and the knowledge you intimate Richland has. Libraries like that are harder to find, yes. We’ll have to cherish them while we have them. I look forward to visiting Richland County library so I can tell the librarians in person how wonderful they are. Thanks for commenting. I’d love to have the same resources for Spartanburg and Greenville during the late 1700s and early 1800s. South Carolina is a tough place to research. Linda, Thanks for stopping by. 🙂 I agree. That time period is hard in South Carolina. It’s much easier dealing with my Maryland ancestors in that time period. Their courthouses weren’t burned down by Sherman’s March. The Richland County Library sounds like a goldmine for genealogists. I especially appreciate access to digitized newspapers–newspaper stories are so helpful for supplying context for our ancestors’ lives. I hope my hometown newspaper, where most of my ancestors lived, will eventually be online through either one of the paid services or an initiative like Chronicling America. Thanks for the tip. This reminded me of one of my favorite resources for my Craven County, NC ancestors is the New Bern-Craven County Public Library, specifically the Kellenberger Room. They have an online obituary index and lots of other great resources just like the library your featured. Love local libraries! Great reminder to try calling. One library I called said the local genealogy club happily handles lookups for a tiny donation. I sent my request and an SASE and a few dollar bills, and got the obits I wanted in a week. Wow! That’s wonderful. We all do so much on the computer that it’s easy to forget about calling. Thanks for that reminder.